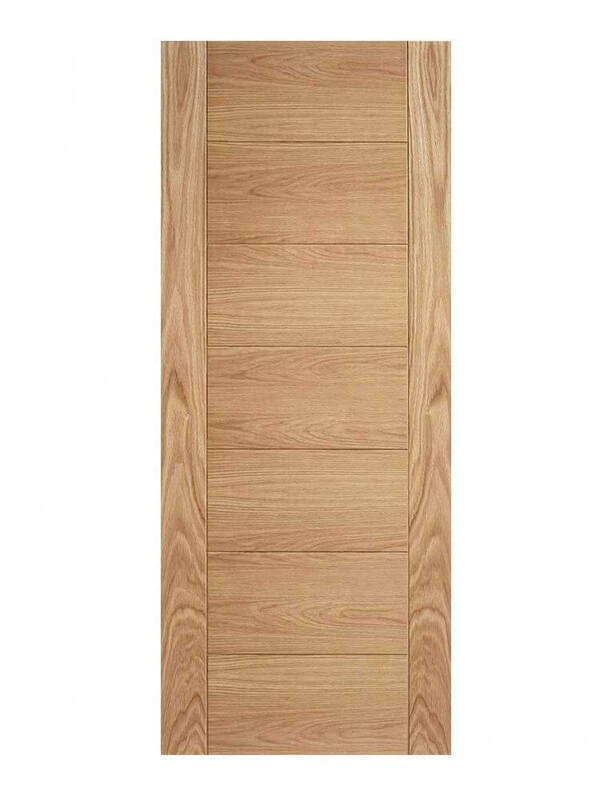 Oak Carini 7P Pre-Finished FD30 Fire Door. With seven horizontal flush panels and vertical sides in contrasting pre-finished Oak wood grains. The Carini is a very contemporary door..